It ought to have been deserted. After all, Tuesday evenings in the restaurant trade are the nights for chefs to stay at home – well, almost. 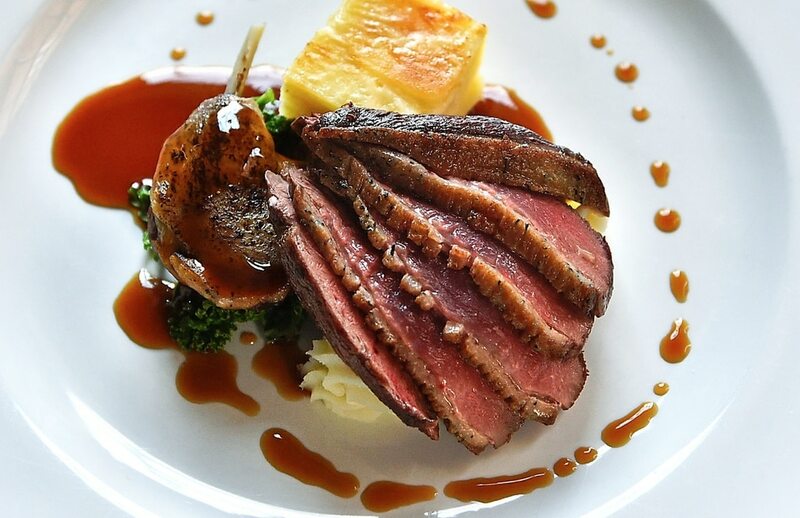 Customers are catching a breath after a weekend of food and drink, Sunday lunch is but a distant memory and who wants to eat out on a school night? Factor in the bleak midwinter, when the nights are long, the roads are filthy, there’s rain in the air and the temperatures are less than 10C and restaurants are lucky if they have more customers than chefs and waiters. Which is why Bistro 7, in Ludlow, is clearly onto something good. For when I called as a walk-up on a wet and windy Tuesday night, the place was half full. A long table on one side of the restaurant was celebrating a special occasion and tables of two and three – plus this one – were dotted elsewhere. 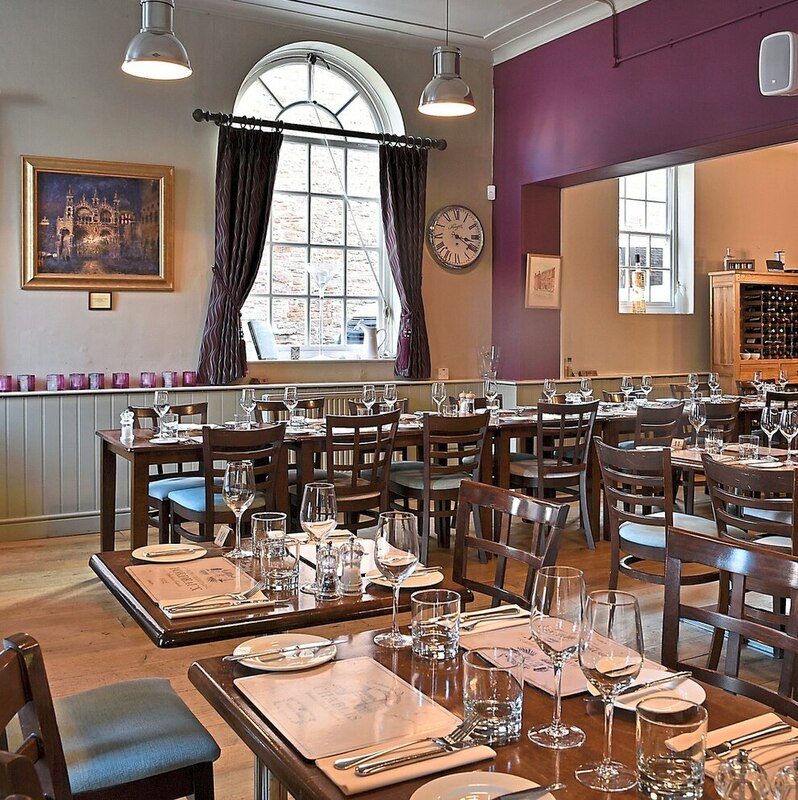 Restaurant customers tend to vote with their feet – and their wallets – and the discerning diners of Ludlow have clearly warmed to Bistro 7. The venue has been in operation for some years and its traditional food has found a niche in the local market. That’s down to owners James and Beverley Croft-Moss, an experienced couple who’ve been in the restaurant game for some years. 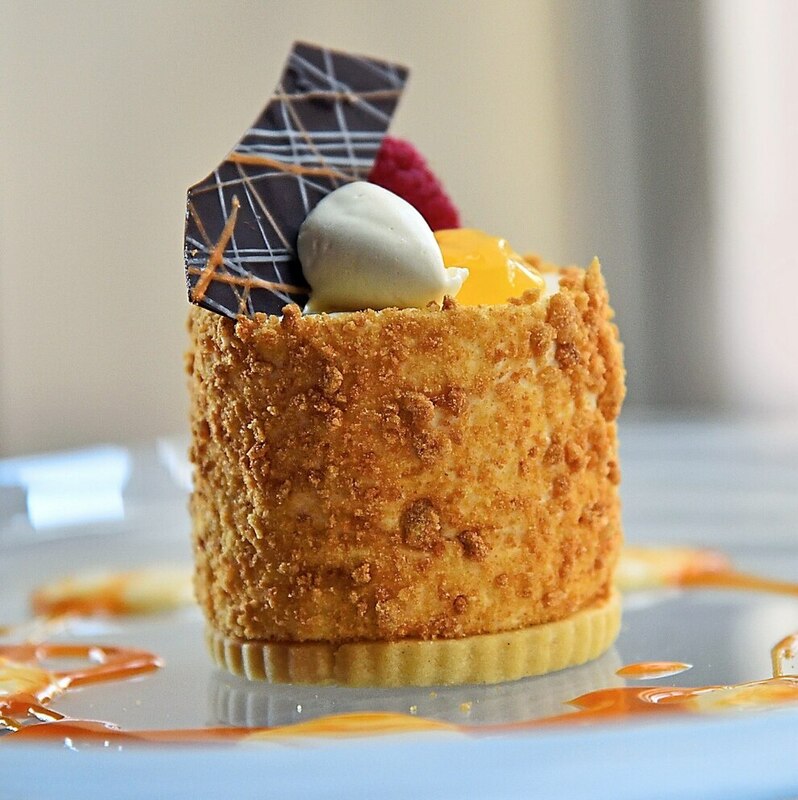 Bistro 7 is their seventh catering business and in addition to restaurants they’ve worked in hotels, restaurants, pubs, coffee shops, private catering and corporate hospitality. It’s fair to say they know their onions. The fact they’ve been around for many years is also the reason that the menu is so rooted in tradition. You’re more likely to find froths and foams on the surface of the River Teme than you are on a plate in Bistro 7. It is avowedly rooted in French and British tradition, in serving dishes that have stood the test of time. So pates and plates of anti pasti find a place alongside garlic mushrooms and a blue cheese sauce, grilled chicken breasts marinated in lime and served alongside mushroom and spinach linguine and there’s a place for a good old steak with peppercorn sauce, caramelised onions and shoestring fries. It’s fair to safe Bistro 7 is risk-averse. The food is tried, tested, tried, tested, tried and then tested some more. 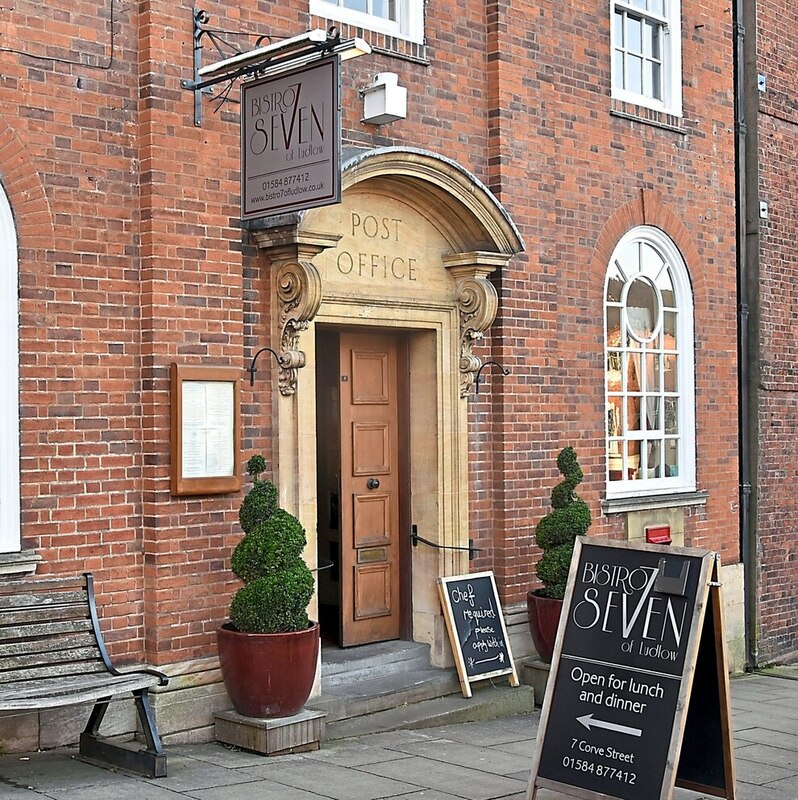 The venue occupies a former Post Office and newspaper office in Ludlow’s Corve Street and is a light and airy space with high ceilings, neutral colours and unadventurous artwork. Simple tables and chairs fill each nook and cranny and service is the right side of friendly. When I called, there were two young waitresses being well led by an experienced restaurant manager. One of the waitresses was learning her trade, soaking up information like a sponge as the restaurant manager showed her the ropes. The menu was needlessly long. With few exceptions, I’ve never quite understood why restaurants opt for overly-long or overly-complicated menus. They simply mean more ingredients are needed, there’s more waste and diners generally tend to be creatures of habit who will opt for similar dishes time and time again. There was also a curious preponderance for mashed or creamed starch – potato and celeriac – with few dishes offering an alternative. And while some love nothing more than a comforting plate of champ, it was odd that it featured as regularly as cheese and tomato at a pizza house. I wondered if the Cadbury’s martians were going to start laughing and singing ‘For mash get Smash’. Thankfully, they didn’t. Two breads were served as I perused the menu. First up was a focaccia that was reasonably light and soft without being memorable. A white bread was of similar quality; fine and okay for starters but not at the standard of some of the exceptional bakers who’ve decorated the town in recent decades. I started with pork croquette. They were served on mediocre mash – inevitably, though lord knows why – which added nothing to the dish and was neither remarkably smooth nor remarkably buttery. The croquettes were decent. They’d been coated in a light breadcrumb so the exterior had a pleasing crunch while the pork was decent within. A delicious, tart and sweet apple compote was served alongside them, lifting the dish. 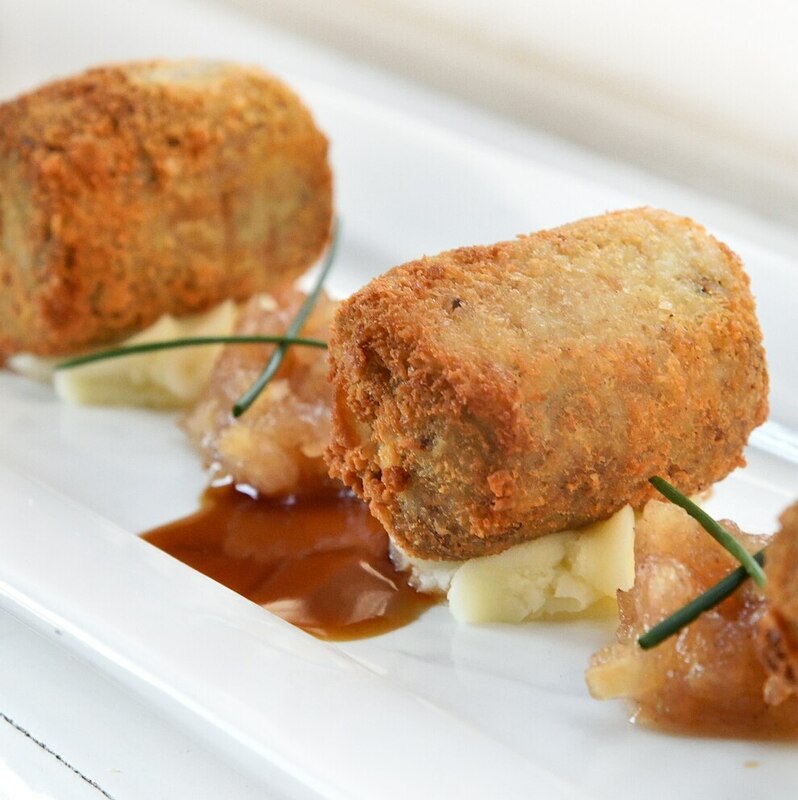 Pork and apple are pretty much the perfect culinary combination. Like Cagney and Lacy, Manchester and United or Ant and Dec (or perhaps Ant and Holly) they form a duet that sings of marvellous things. The portion size was generous and there was a welcome pause between courses. My main was duck on a bed of, wait for it, M.A.S.H. with a confit leg, side of vegetables and additional dauphinoise potatoes. The mash was awful. The duck had been placed on top of it and as it rested, it bled into the potato, making the plate look like a crime scene. The duck itself was decent – tender and seasoned with skill, the fillet was good while the confit leg fell apart under the knife. The dauphinoise might have had a little more garlic while the additional vegetables were superfluous – the dish already had greens beneath the confit leg and the portion seemed over-sized with the addition of a bowl of veg. I stayed for desserts. Both courses had been decent and a lemon curd cheesecake provided a pleasant ending to dinner. With dots and swishes of colour and cream, it was a reasonable stab at deconstruction, although an honest-to-goodness variant with the base on the bottom, rather than crumbed around the side, would have worked equally well. Service was good. Both young waitresses were pleasant and engaged. They provided service with a smile, asked the right questions at the right time, were confident and happy in their work and made for a welcome addition to the bistro. The restaurant manager was similarly accomplished, directing operations and keeping the people of Ludlow well fed. There are other venues in Ludlow where people can enjoy more exotic food, or finer dining. But Bistro 7 has established itself and carved out its own place in the local food scene. It’s set fair for many years to come.